Note: While The A.V. Club compiled this Inventory in reaction to Donald Trump’s racism toward immigrants in early 2017, recent events remind us that celebrating immigrants in this country is an evergreen obligation. From the moment he took office, Donald Trump has been steadfastly against the immigrants that make this country great, from his attempted executive order prohibiting U.S. entry into the United States for immigrants from seven majority-Muslim countries to this week’s devastating announcement of the intended end of DACA. Of the mountain of reasons against these policies, many point to the slate of principles this country—a nation of immigrants—is based on, and how much we stand to lose without the contributions of these Americans. Here at The A.V. Club, we thought it was again a good time to revisit some of the movies that have brought the American immigrant experience to the big screen, as the rich history of these ethnic groups has offered inspiration for films from The Godfather Part II to An American Tail. 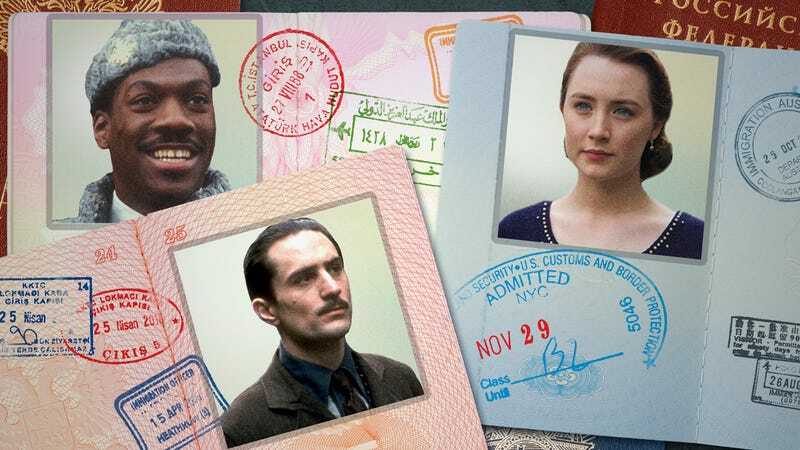 Just like in real life, not all of these stories end happily, but they all show how much immigration is vital to the American canon, and how our big-screen representations of the richness of our multicultural nation are testament to that vitality.